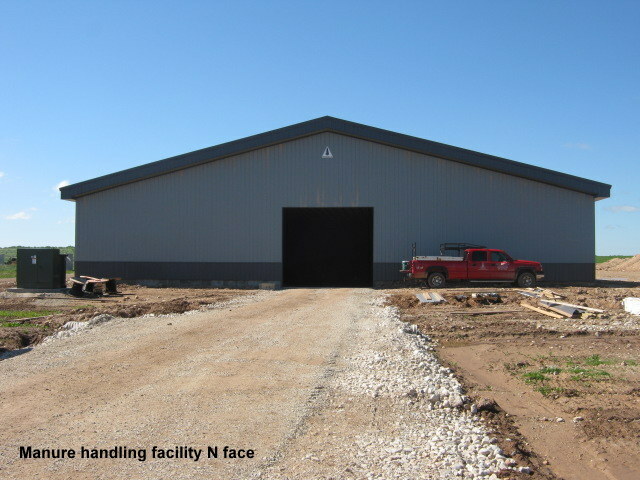 Kinnard Farms Site 2 Expansion - Robert E. Lee & Associates, Inc.
Kinnard Farms Inc. was planning for a large expansion of their Dairy Farm located in the Town Of Lincoln. 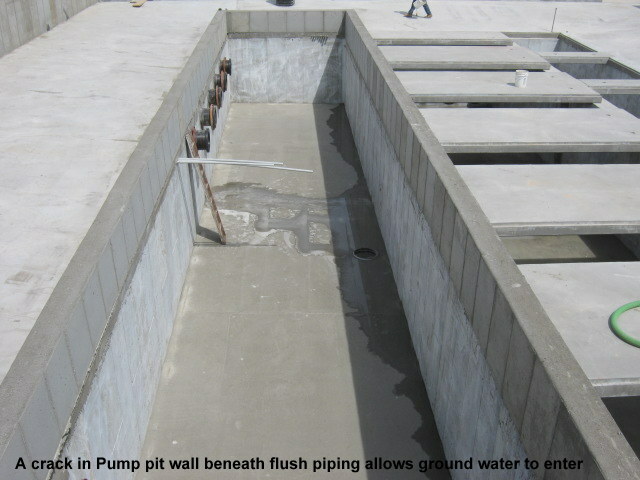 The expansion would be a second facility on a new site. 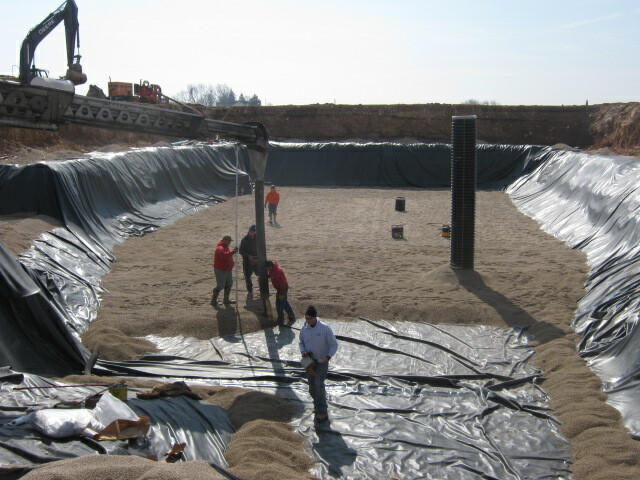 The first step in the expansion was selecting a site. 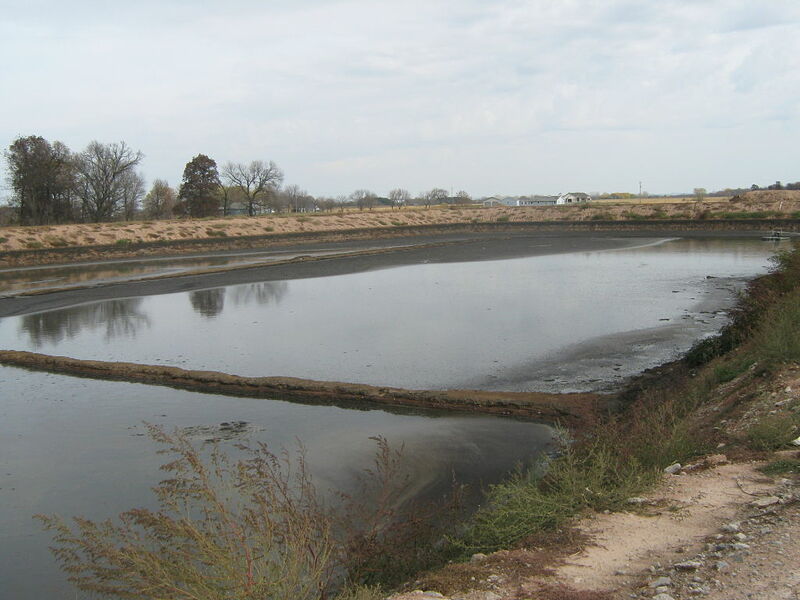 REL engineers and ecologist reviewed many sites with the owners of Kinnard Farms to find a site that was reasonably close to the existing Dairy and did not impact wetlands or waterways. 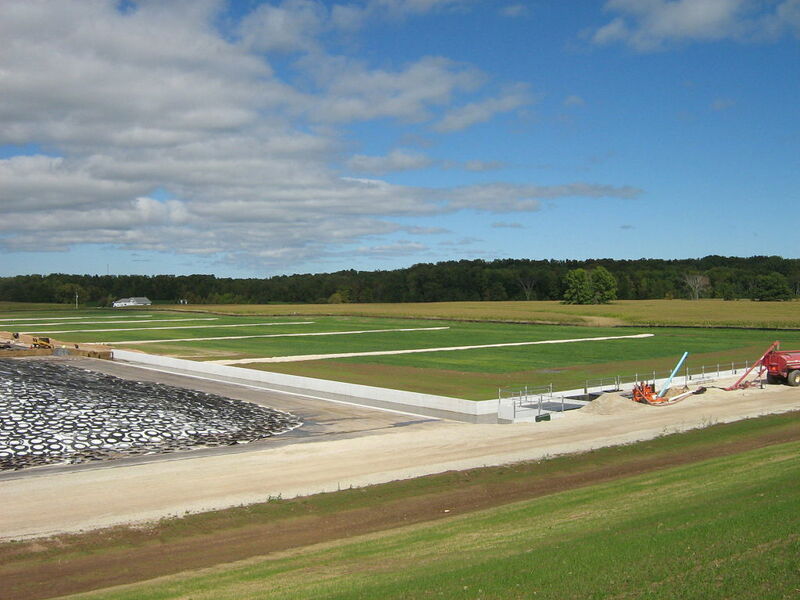 Site 2 would be located on approximately 160 acres of land, about 1/4 mile north of the existing farm. 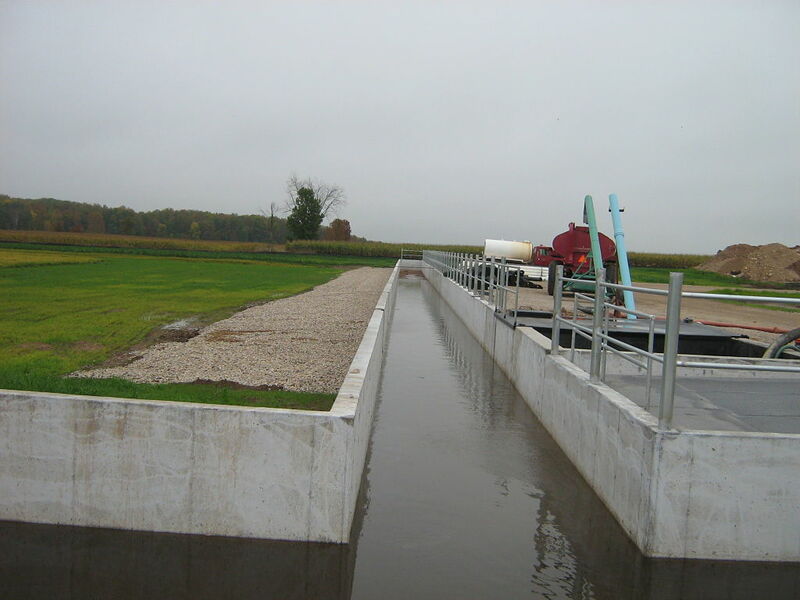 With the site location set, REL began working with Kinnard Farms on the overall facility layout to include potential barn and parlor locations, waste and feed storage facilities, runoff controls systems, and site grading and drainage. 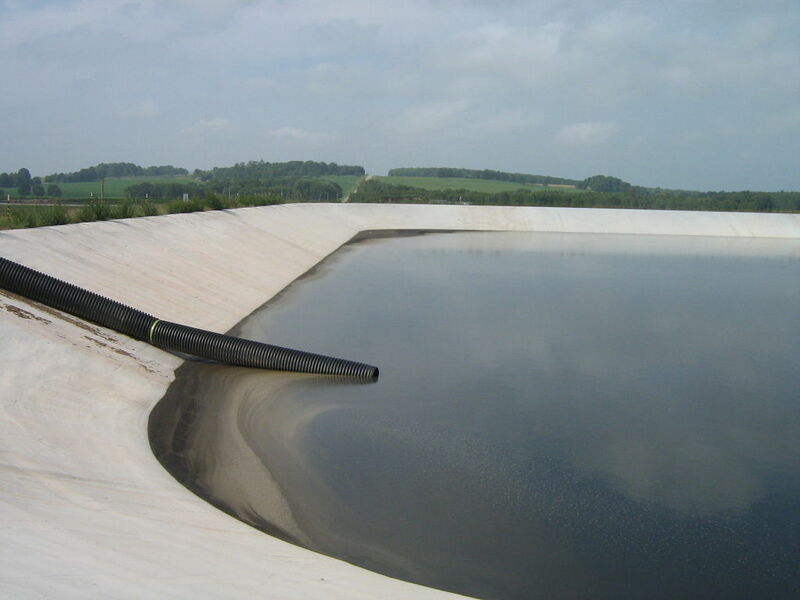 The soils testing revealed on-site soils were not suitable for a clay-lined waste storage facility. 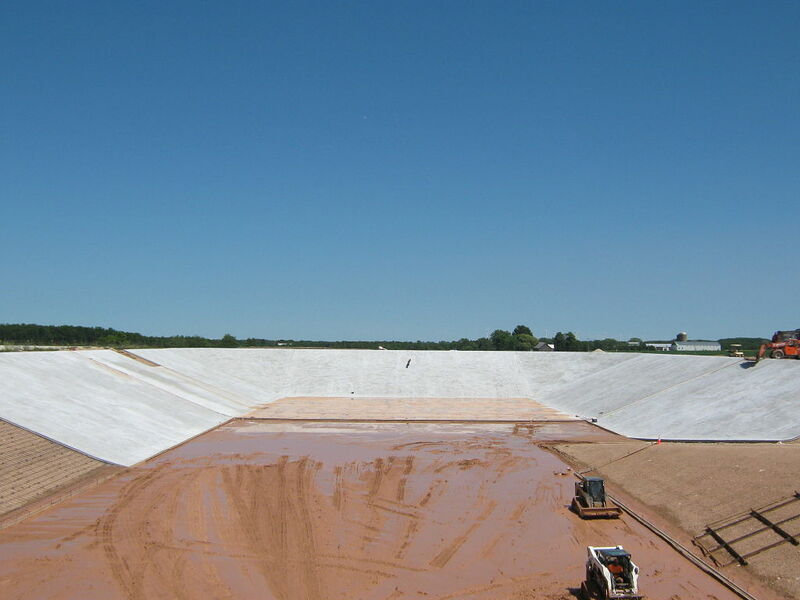 The cost of importing soils from another location was excessive; therefore, Kinnard Farms selected reinforced concrete for the waste storage lagoons. 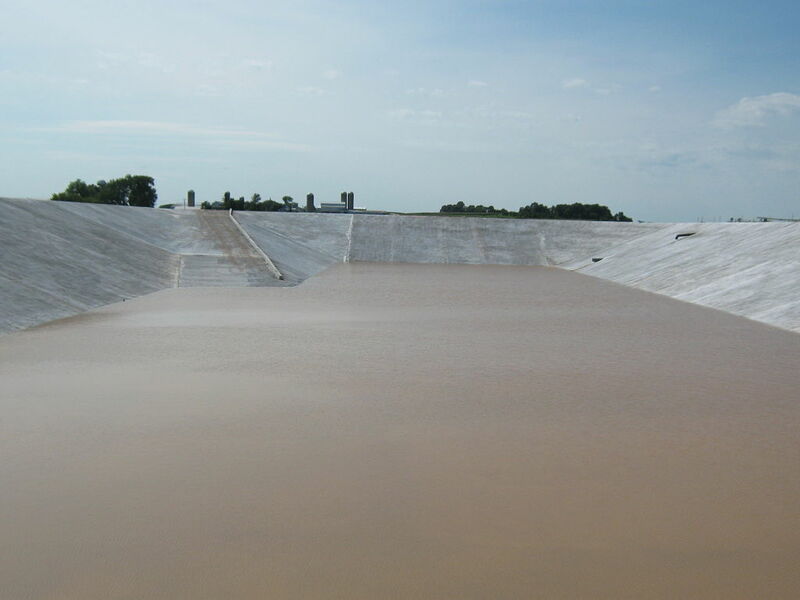 A total of three storage cells were constructed providing approximately 78,000,000 gallons of storage. 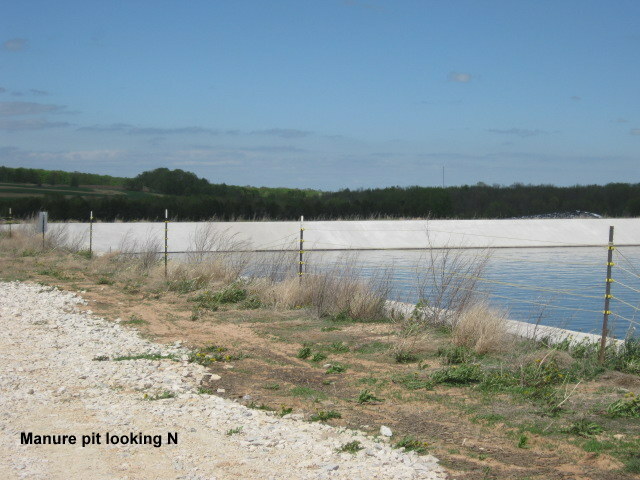 Other permitted facilities include approximately 22 acres of feed storage, an 8.26-acre Vegetated Treatment Area to treat storm water runoff from the feed storage pad, waste transfer piping and a pump station that pumps the first flush from the feed storage facility to the waste storage facility (WSF). 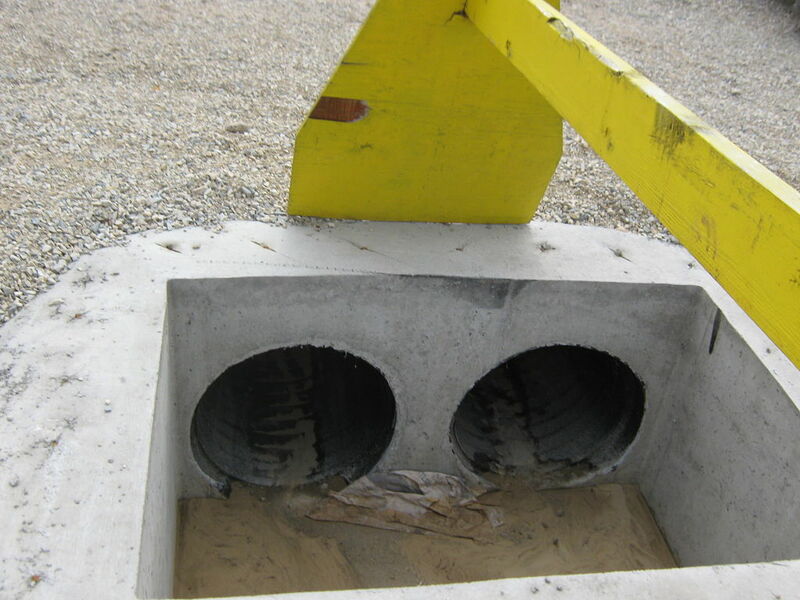 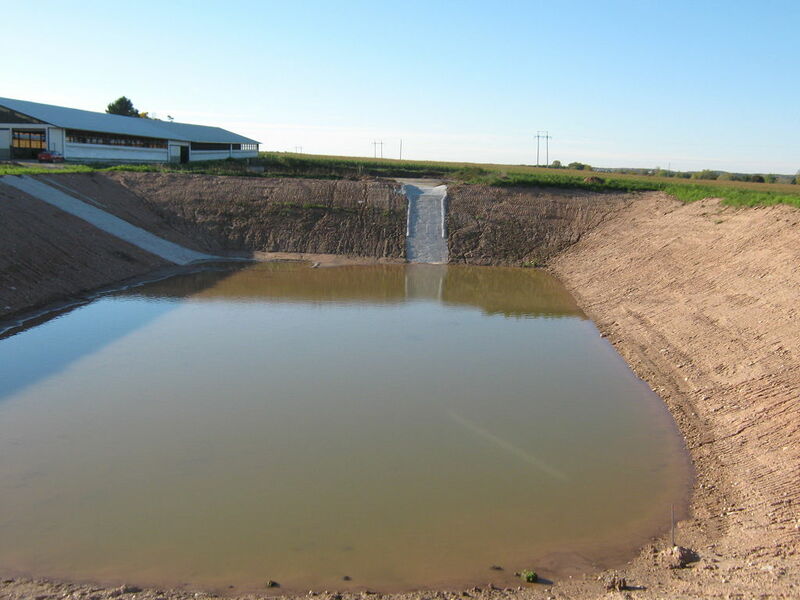 REL also designed the storm water drainage system for the facility that includes ditches, storm sewer, and a detention pond that reduce the peak flow from the farm to be equal or less than the peak flows that existed prior to development of the farm.